1. Monday, Jan. 28, 2019: 2-3:30 pm PST (4-5:30 pm CST, 5-6:30 pm EST): We welcome Laura Forczyk to the show. She will discuss her consulting company Astralytical and the rise of the Space Age millennials. and lots more as only Rod Pyle can do. 3. Wednesday, Jan. 30 2019: Hotel Mars. See Upcoming Show Menu and the website newsletter for details. Hotel Mars is pre-recorded by John Batchelor. It is archived on The Space Show site after John posts it on his website. 4. Friday, Feb. 1, 2019: 9:30-11 am PST (11:30 am -1 pm CST; 12:30-2 pm EST): We welcome back Dr. Michael Schmidt and Dr. Thomas Goodwin to discuss their new work on pharmaceutical usage in space. 5. Sunday, Feb. 3, 2019: 12-1:30 pm PST (3-4:30 pm EST, 2-3:30 pm CST): Open Lines. We discuss your favorite topics. Everyone welcome. The water is fine so jump right in with a call to 1-866-687-7223. 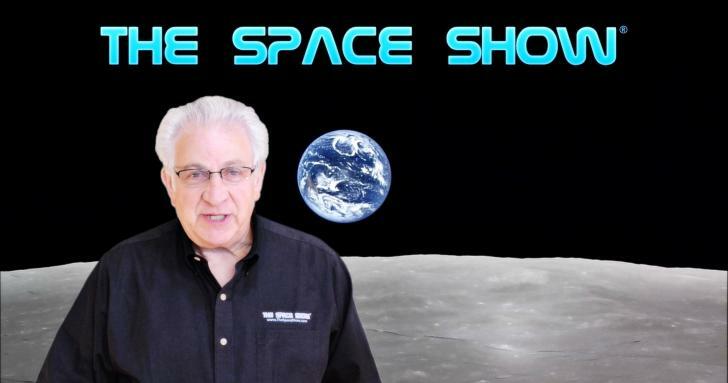 ** Friday, 01/25/2019 – Dr. Paul Davies talked about “Interstellar developments, advanced propulsion, extraterrestrial life searches, space and lunar artifacts, The Beyond Center for big universe questions and more”.